March 5-7, 2017 at Christmount Christian Assembly, Black Mountain, North Carolina. 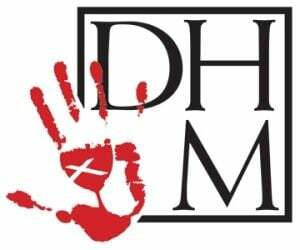 WHAT: DHM is partnering with DYMN (Disciples Youth Ministry Network) to call together voices from regions and constituencies in a Youth Ministry Summit to re-vision / update / re-design the Design for Youth Ministry of the Christian Church (Disciples of Christ) in the United States and Canada. WHY: The Design for Youth Ministry was first approved by the General Assembly meeting in Anaheim in 1981. It was reviewed and updated by the General Youth Council and approved by the DHM Board in 1996. Much has changed in the twenty years since the last update. The Design is long overdue for review and update! WHO: Each region is invited to send one adult – regional staff with youth ministry portfolio / adult with your regional youth council / some other adult knowledgeable of and invested in youth ministry leadership with your region. Constituency groups are invited to send 2-3 representatives to ensure those voices are heard. Invitation is extended to others who normally attend the DYMN Retreat to participate as well. For official regional or constituency representatives, cost for to attend the Youth Ministry Summit @ DYMN is just $50 plus transportation costs. Thanks to an Oreon E. Scott grant, strong backing by Christmount, and DHM funding, the Youth Ministry Summit is offered at very low cost to attendees. Cost for other attendees is $100 plus transportation, still a bargain for the event! The 2017 Progressive Youth Ministry Event (PYM) is March 8-10 at Montreat Conference Center just 10-15 minutes from Christmount. Youth Ministry Summit attendees have the opportunity to pay for travel just ONCE and attend TWO great events. More info on PYM can be found at pym.thejopagroup.com. Registration for PYM is additional to the Youth Ministry Summit. Disciples can get a little break on registration using the discount code DOC. We are working with Christmount for further options that may save money. If planning to also attend PYM, check with us before booking housing for that event to see what options are available. QUESTIONS: Check for updates on the DYMN web page at www.dymn.org, or DYMN Facebook page. or Randy Kuss <[email protected]>. and we will alert you when registration is open.